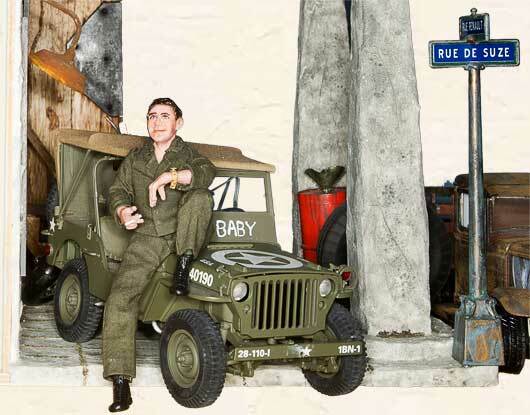 The Garage Renault is a vignette of the military career of Suze's dad, Jack Perry, during World War II. “Jake”, as he was known, was with the European Civil Affairs, 518th Transportation Division. The original Garage Renault in Marseilles, France, was one of his first duty stations. This garage was used for the rebuilding of vehicles heading to and from North Africa. His job was to await U.S. trucks following their rebuilding in Lyon. Once his military career was over, Jack sailed home on the troop ship Rockingham. As he sailed into the San Francisco Bay, his father sailed out to meet him on the pilot boat. The two finished the journey together.